This is a 2-channel 3 W audio amplifier board based on the PAM8403 chip which is a very efficient 3 W filter-free class D audio amplifier. This board is great for adding audio capability to your projects. 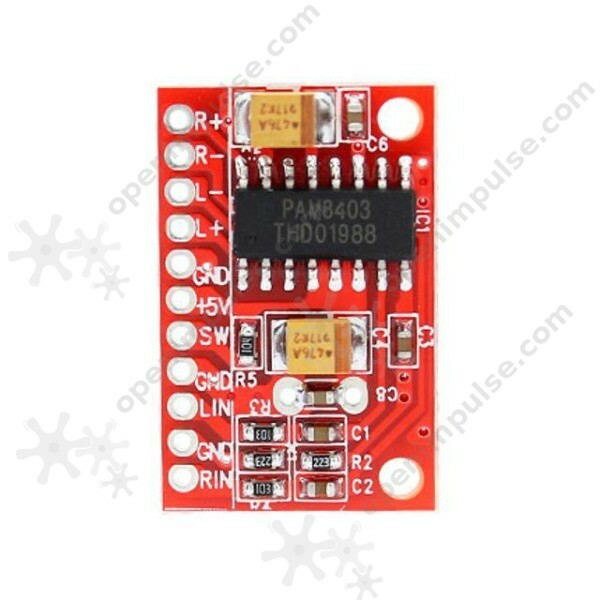 The PAM8403 integrated circuit is a 3 W class-D audio amplifier that features low harmonic distortion and high efficiency. 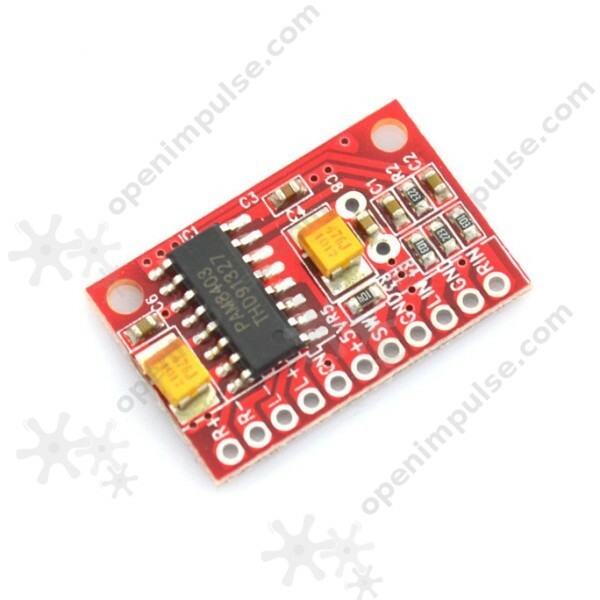 This module can be powered with a voltage from 2.5 V to 5.5 V, making it ideal for adding audio capability to your new project. This audio amplifier is the perfect choice for MP3 and MP4 player projects.